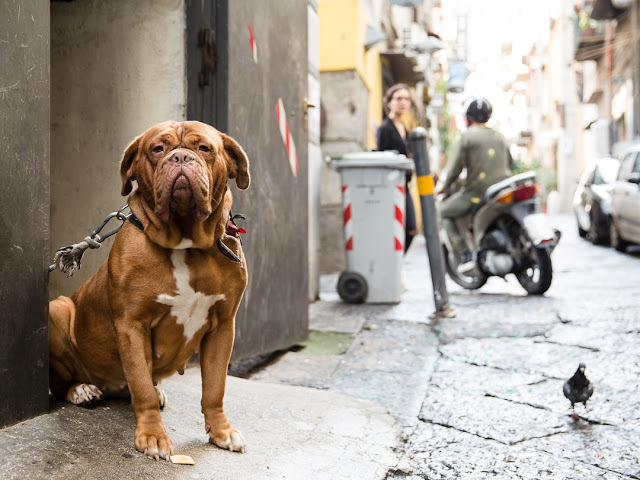 Guard dog in Naples: a fierce looking Dogue de Bordeaux called Tequila who has a beautiful soft side to her. She lives in the Spanish quarter of Naples. That mug shot is so interesting on that canine! That is a dog of dogs! Tom Hanks in "Turner and Hooch" ... this is the dog in the movie!! !